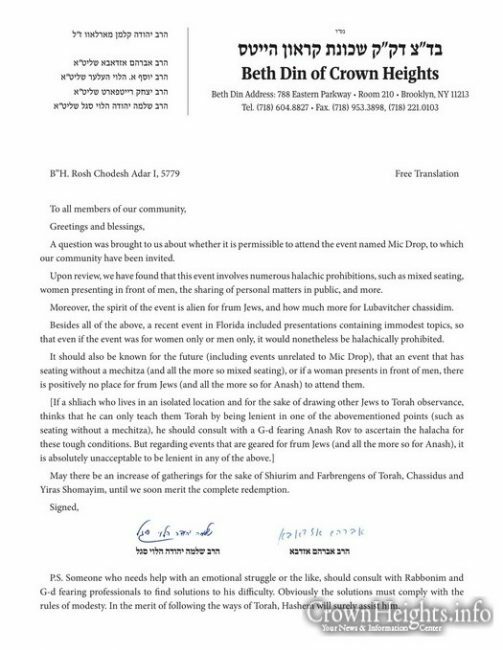 The Beis Din of Crown Heights has come out with a ban on the popular “Mic Drop” events. The Mic Drop is a forum for which people are able to stand up and speak on their personal issues or experiences in a public sphere. Recent events have been geared towards the frum community, and have raised concerns in regards to Halachah. 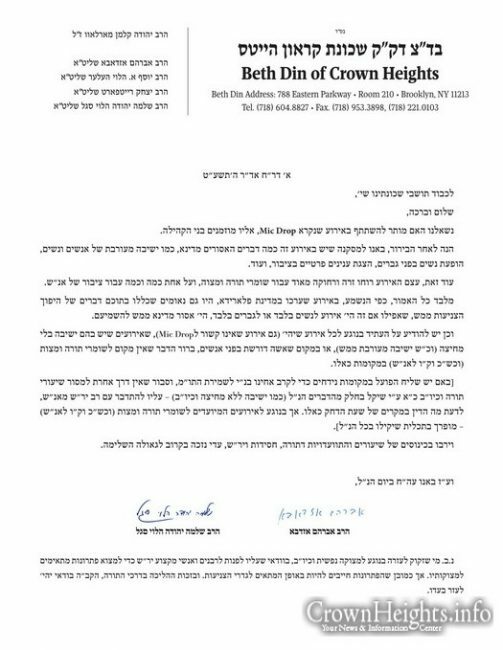 Following an inquiry, the Beis Din of Crown Heights has published a letter banning the event on Halachic grounds, including issues of Tznius, and mixed seating. thank you rabonim for standing up and speaking the truth. if rabonim won’t stand up against all these craziness, lubavitch will soon be worse then MO rach”l. Thanks Rabbis for writing a good clean letter!!!!!! I saw a letter of the Rebbe about making a mixed class in USSR and the Rebbe said must not sit together, but don’t need a mechitza and that the crowd should know that this is only allowed because of the dire situation they are in, because they’re so few people who can teach etc. for all those that needed a psak and couldnt figure it out themselves. mazal tov. but something tells me they will continue…..
People can do whatever they want, but it’s at least we have rabbonim who will speak up and call a spade a spade. This is not about fixing the world, but about protecting the youth and other innocent members of our community who would otherwise that it is acceptable in Chabad to have such events. thank you rabonim for having the courage to speak up against what is wrong, in spite of it being popular among the louder segment of the community. I went to one back in Elul where it was men presenting only. Something felt very uncomfortable about the whole situation which I couldn’t put my finger on. Thank you for bringing this to light! This is like the time s of purim when mordachai ( the rabbanim) say not to go and unfortunately the jews go against his word and i dont to to spell out the rest. I hope we can all stand up to our inner haman who wants to confuse us and let him know “never again” we are not going to fall for your plots and schemes. Under all are diverse opinions and groups we are first and formost a Jew and truth of a Jew is Torah. Torah tzeiva lanu Moshe morasha kehilas Yaakov! We can say it in our sleep, but are we willing to be true enough to show it to the world? if you recall last year some of these same “wonder women” were part of the awful purim party last year. If you need therapy, go to a therapist and don’t share your abuse stories with a random crowd. I attend JLI events. They are mixed events but it’s not davening and for the most part it’s not social, either. If a man is concerned for himself and hirhurim, he doesn’t have to attend. But why should the rest of us miss out? By the way, what about mixed yeshiva dinners, with everyone dressed up fancy, with perfume and jewelry, etc., and with music, etc? Why is that OK? Maybe those dinners are NOT ok either? 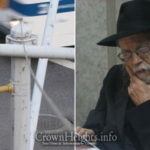 Your questions should be referred to the Shulchan Oruch and the Rebbe. 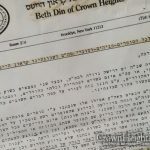 The Rebbe stressed that even in Russia, which was big “sha’as hadchak” and a Shiur without a mechitza can be ok – there must be separate seating. כשאדם אוכל ושותה ושמח ברגל לא ימשך ביין ובשחוק ובקלות ראש ויאמר שכל מי שיוסיף בזה ירבה במצות שמחה, שהשכרות והשחוק הרבה וקלות הראש אינה שמחה אלא הוללות וסכלות ולא נצטוינו על ההוללות והסכלות אלא על השמחה שיש בה עבודת יוצר הכל שנאמר )דברים כ”ח( תחת אשר לא עבדת את ה’ אלהיך בשמחה ובטוב לבב )מרב כל( הא למדת שהעבודה בשמחה, ואי אפשר לעבוד את השם לא מתוך שחוק ולא מתוך קלות ראש ולא מתוך שכרות. חייבין בית דין להעמיד שוטרים ברגלים שיהיו מסבבין ומחפשין בגנות ובפרדסים ועל הנהרות כדי שלא יתקבצו לאכול ולשתות שם אנשים ונשים ויבואו לידי עבירה, וכן יזהירו בדבר זה לכל העם כדי שלא יתערבו אנשים ונשים בבתיהם לשמחה, ולא ימשכו ביין שמא יבואו לידי עבירה. קודם ברכת המזון בעשרה, אומר המברך דוי הסר וכו’ ואומרים שהשמחה במעונו, ויש לומר שאכלנו משלו בלא וא”א ולא ושאכלנו משלו, ואחר ברכת המזון לוקח כוס שני ואומר עליהם ששה ברכות, ואחר כך מברך על הכוס של ברכת המזון בורא פרי הגפן, וטוב שלא למלאות את הכוס לששה ברכות עד לאחר ברכות המזון. צריכין ליזהר שלא יאכלו אנשים ונשים בחדר אחד, שאם אוכלים אנשים ונשים בחדר אחד אין אומרים שהשמחה במעונו כי אין שמחה כשיצר הרע שולט. 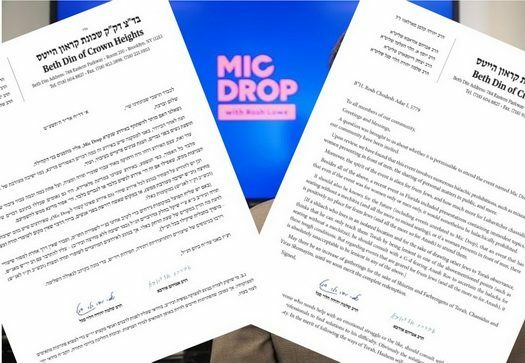 thank you, Rabbonim, for clarifying what the issue with MicDrop is. I did not understand before, since it seemed the only issue was that people feel it is alright for men to speak of personal issues publicly but for a woman it is absolutely mortifying. Fear of expressing ourselves and the darker sides of our lives is not Torah, it is not Halacha. Read a page of Gemara or Chassidus. Sharing our struggles is part of how we grow together, how we see that not everyone is perfect, and that there’s never a point in assuming everyone else has it easy – instead, we can learn from how others have overcome hard times. Organizations like Neshamos and MicDrop are bringing that to the people in a brave way that is changing how we view conformity in our communities, and educating people that it’s okay to be themselves. The Alter Rebbe said that the voice of the woman is a powerful part of Moshiach – by listening to the woman’s voice, we reach the level of Mesameach Chassan Im HaKallah, through Kol Chassan v’Kol Kallah. Stopping these voices from speaking is the Klipos of today preventing this holy transformation from taking place. That is the most powerful response . Kol hakovod ! Right the Rabonim are the Kelipos of today and you are the Kedusha of today and we should all listen to you. Pretty sad commentary of what you’re essentially saying. Sadly, it seems that you actually believe that and answering your specific points is like explaining to an anxious person why it makes them more anxious to be anxious and so they should just stop being so anxious. This Din is based on ealier sources in Rishonim. In this day and age of sliced bread microwaves and sefaria. org , most observant Jews can open a sefer and learn (if they want). If a rov is going to say something today he better be ready with a good source, that’s just like my opinion. We should have kabbalaa ol..they should not have to provide a source in order for a psak to be binding. But the reality is that many people do not have kabbals ol and they need to understand that reality. Same with medicine, we are supposed to follow medical consensus but many people just don’t care…they come up with all kinds of conspiracies to justify not vaccinating and we end up with a measles outbreak. People say they want to ‘do their own research’ but they don’t want to put in the time to study in medical school or yeshiva and they don’t want the accountability that comes with being a licensed doctor or a rav. Still, they aren’t going to go away when they are ignored. Never trust a Psak without a halachik source you checked yourself. They’re fake news. In whose living room you heard this from, but a Rov is definitely not required to provide you with a source just because you don’t like what he told you. A foolish attempt to silence women. Wake up. 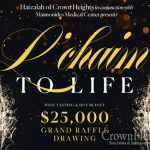 I have had the privilege of attending the kollel chabad dinner these last few years, an event where ehlicheh fineh chassdim sit with their wifes while they listen to men and women speak. The Toichen of the speeches are not far off from sob stories – as most speeches will be when one is trying to raise funds. Are you willing to make a machoeh against kollel chabad? The alteh rebbes a moised?! Sorry ?! It’s against Halacha for a class or such to be given without a mechitza? Can one point out the source ? Obviously you didn’t read the part where they said it is forbidden even if it’s just men. But feminists have never let facts get in the way of politics. There is mixed seating and there might be women in the panel. And yet, we all know that if an event is not 100% directly related to limud torah, no one will give haskama. Bear in mind that Chabad does a lot of non-study related activities in the name of chizuk and kiruv. If something does more good than bad, why not refrain from giving your opinion and let them be? Was one of the Rebbe’s goals of learning Smicha for the community to be knowledgeable enough to question Rabonim? After all, no-one who has Smicha can Pasken from it.